During a spur-of-the-moment decision to hike in Arches National Park. This entry was posted on August 10, 2010 by michellestodden. 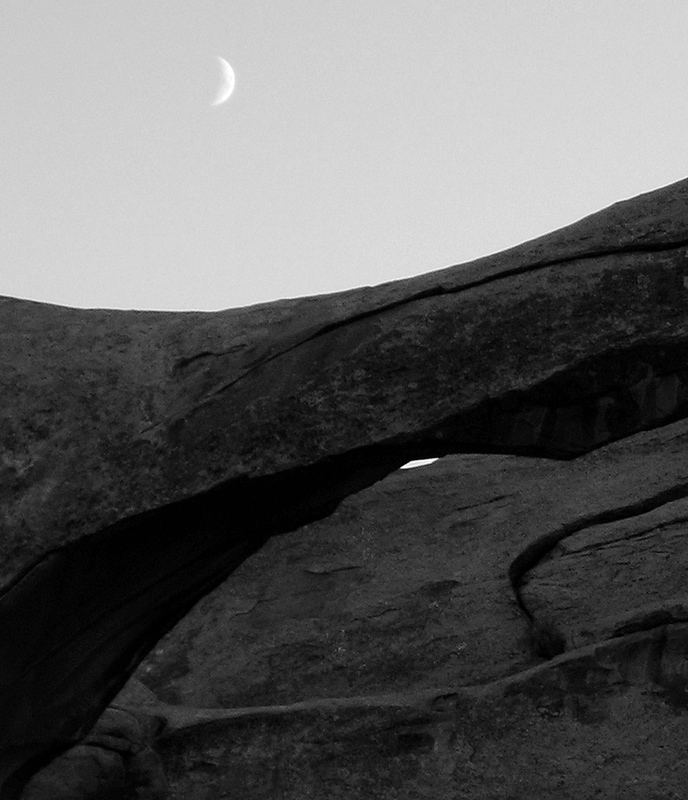 It was filed under Photography and was tagged with hiking, Landscape Arch, Photography. Great shot. Love the moon. Love the B&W!